We&apos;re a full service tree care company with strong roots in the communities we serve. We are also a team of highly skilled individuals dedicated to the preservation, maintenance and caring of trees. Our professionals are right for your next project. Use the form below to request a free quote from Van Till for your tree service needs in the Peterborough area. ash trees in Ontario. Take action today. and it shows. Take a look. Your go-to Peterborough, ON tree service. Van Till Tree Care is deeply rooted in the communities we serve. 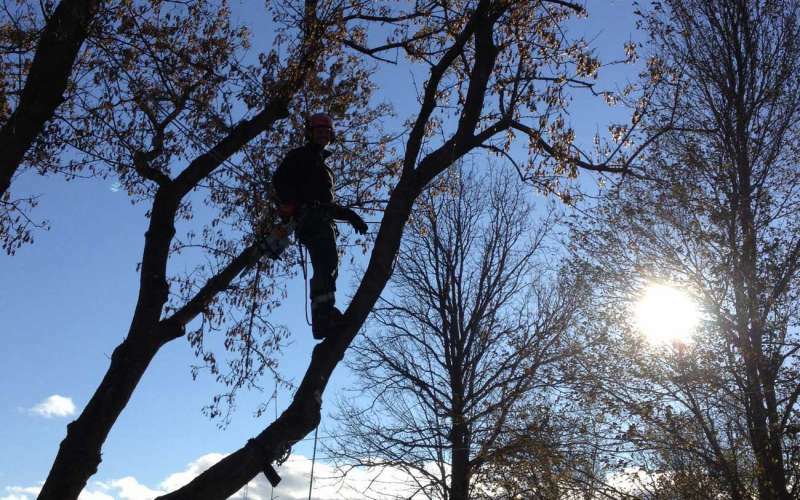 We pride ourselves in offering full tree care services to Peterborough, as well as the full surrounding area. Our expert tree care team is available in the following service areas: Peterborough, Trent Hills, Campbellford, Hastings, Warkworth, Norwood, Havelock, Marmora, Madoc, Apsley, Bancroft, Buckhorn, Lakefield, Kawartha Lakes, and the entirety of Northumberland County. 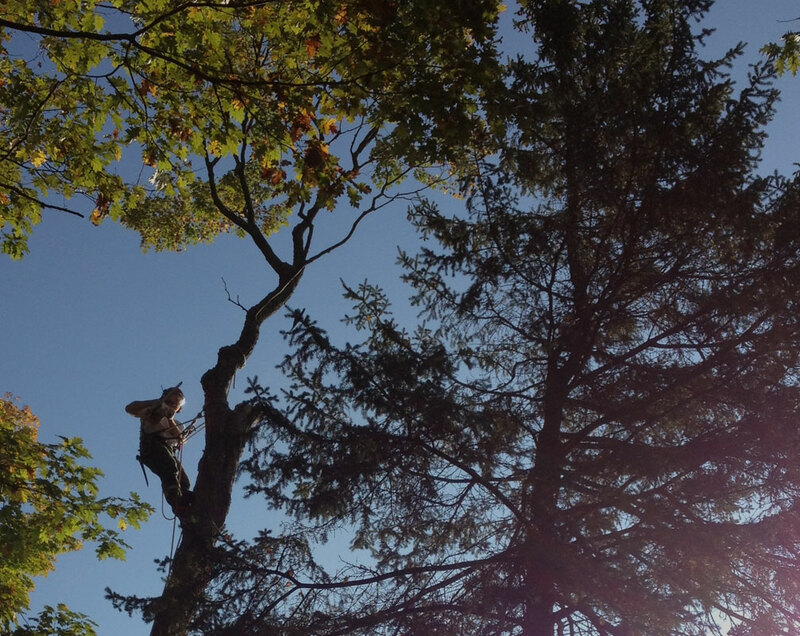 Our professional arborists are devoted to the maintenance, care, and preservation of trees. Simply put: We know trees. 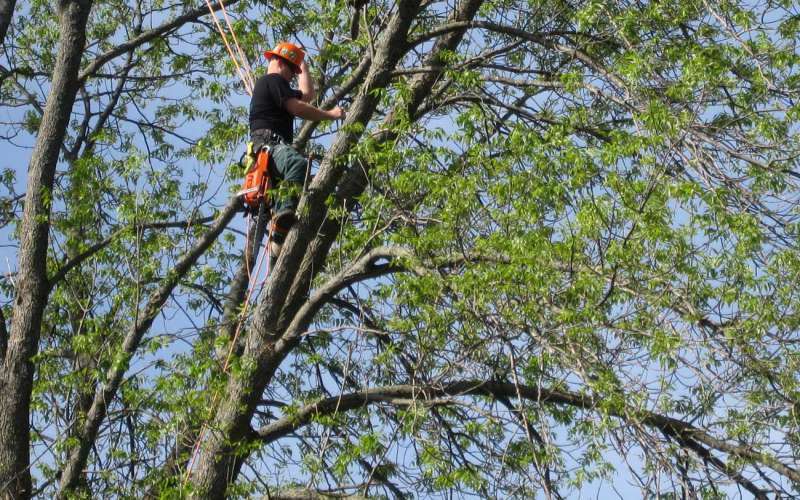 See: Why Hire a Certified Arborist? At Van Till Tree Care, we are International Society of Arboriculture (ISA) Certified Arborists with over fifteen years-experience in the arboriculture & forestry industry. Other qualifications: ISA Utility Specialist, ISA Certified Tree Worker/Climber Specialist, TRAQ Certified Tree Risk Assessor, and Ontario Certified Utility Arborist. The services we provide are exactly what your trees need. As much as we would love for the trees on your property to last until the end of time, that’s not realistic in some scenarios. Sadly, when trees begin to decline, they have a tendency to become dangerous to our structures and our lives. Our Certified Arborists can help you determine when it is time to remove a tree from your property. We specialize in high risk removals and can provide you with the necessary expertise, knowledge, and equipment to remove the tree safely. Every tree is different and unique, and when it comes to tree removal, this is no exception. Whether your tree needs to be climbed and roped down in small pieces or removed with the assistance of a crane, our professionals are skilled & specialized in this practice and will determine the best and safest removal options for your unique situation. If you feel that there is a tree on your property in need of removal, our Peterborough tree company can help. The benefits trees provide to not only our environment but also our own lives are too long to list. It stands to reason: maintaining a tree’s health and well-being is important and necessary. Deciding to trim your trees can come down to a range of factors. Perhaps the tree has limbs that extend over your home or cottage, and that makes you nervous. Maybe those larger limbs are starting to look a little brown. Of course, it could just be that the limbs are blocking your view. The truth is:trimming and pruning your trees is in their best interest and yours. Proper tree trimming and pruning ensures that your trees are strong and properly structured to prolong their lives, and best provide shade and additional benefits to your property. As an added bonus, trimming dead, diseased, or pest-infested areas can preserve the life of the trees in your yard for years to come. Make sure to hire a Certified Arborist to ensure any tree trimming and pruning is done using the proper technique and practices to ensure optimal health for your trees. The Emerald Ash Borer (EAB) started cropping up in Michigan in 2002. It was shipped in from Asia via some improperly treated wood packaging. Sadly, this invasive insect lays its eggs in Ash trees. The larvae of these insects feed on the tree’s cellular plant tissue, called cambium. This infection ultimately kills the tree. 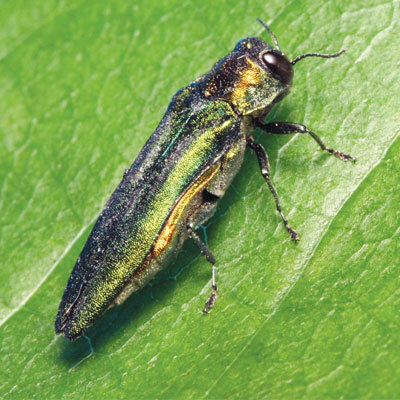 Experts believe EAB might be the most destructive tree pest to ever enter North America. 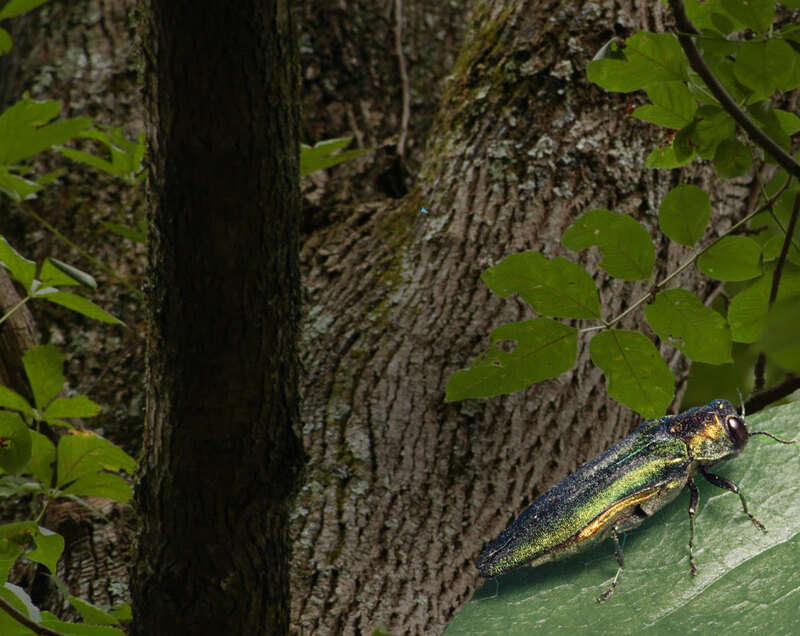 Ontario has witnessed the loss of hundreds of thousands of Ash trees due to EAB. But, at Van Till Tree Care, we offer treatment that lasts for two years. Call us today if you are anywhere near an infestation, or if you want to be proactive about protecting your beautiful Ash trees. Trees are our business. We offer a vast array of tree care services designed to help preserve and maintain the trees that call your property home. We can provide you with emergency tree services 24/7 in the event of a storm or other natural disaster. Our team is experienced in dangerous tree removal and can be there whenever you need us. Do you have an unsightly stump in your yard, and you are tired of cutting the lawn around it? We have the equipment and expertise to grind the stump out of your lawn. This will make mowing and other landscaping endeavors considerably easier. In fact, we can even offer you grass seed and topsoil to make it appear the stump was never even there. Or, if you have noticed your favorite tree has developed a large split, we can come to its rescue with our tree cabling and bracing services. When properly used, this equipment can preserve the life of your tree. Other services we offer: lot clearing, utility line clearing, tree health care, and tree risk assessment. What is a live edge slab? These are exceptional pieces of wood that keep the unique line of the tree trunk intact along the edges. They provide a one of a kind accent to any woodworking or interior design project. There are no two pieces the same! 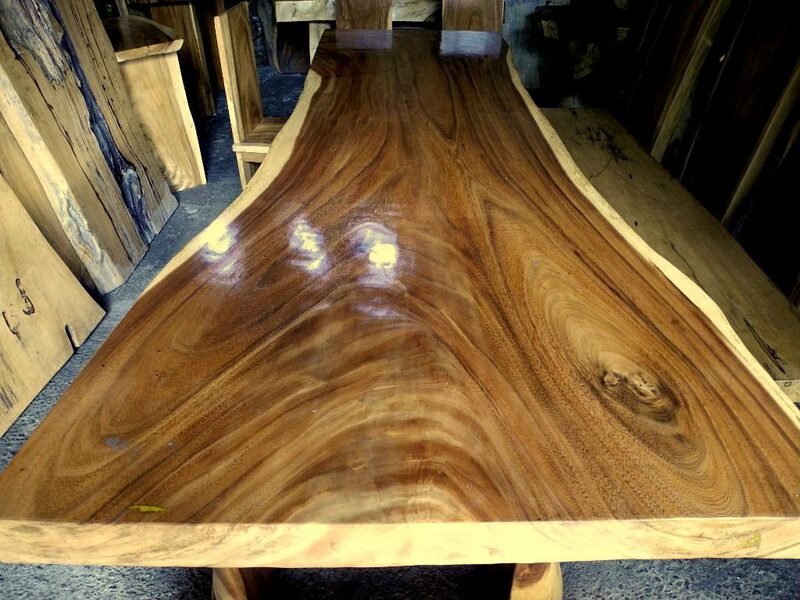 Often, people use these beautiful and unique live edge slabs for countertops, desks, coffee tables, bars, benches, and shelving. Furniture created from live edge slabs adopts the grand and individualized nature of the precious trees these slabs were cut from. They create a special highlight when added to other ordinary surfaces in your home. At Van Till Tree Care we feel preserving these beautiful pieces of art is a way to give a new life to the magnificent trees they are cut from. A beautiful piece of history in your home. If you are looking for some gorgeous live edge slabs, feel free to contact us to see what slabs we have available. Our customers can attest: Van Till Tree Care is here for you. We have the expertise, training and tools to best handle your next tree project. Worried your tree is hanging over your roof, or power line? We use the most current and up to date safety procedures and equipment to tackle the job. And we will leave your yard looking tidier than when we got there! We offer free estimates and quotes for your added confidence & assurance. You can contact us online through the form on our website, or give us a call today to learn how we can assist you in maintaining the health and well-being of your trees. 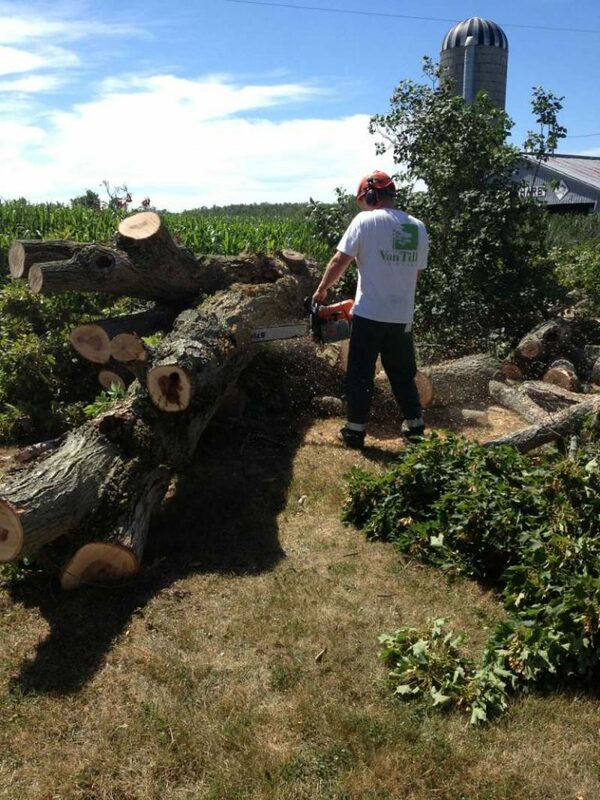 Our Peterborough tree professionals are exactly what you need for your next tree project. Do not hesitate to contact us today with any questions you may have, or to learn how we can make a difference in the life of your trees. We look forward to serving you soon. Copyright © 2017 Van Till Tree Care - 1354 Armstrong Dr, Peterborough, ON K9J 6G3 - (705) 653-3777. ALL RIGHTS RESERVED.